I am pleased to have been invited to participate in the exhibition New York Silver, Then and Now on view at the Museum of the City of New York. This exhibition is a dialogue in silver between past and present. My work Dent is a series of 6 spoons cast in sterling silver that are hallmarked and indented with my own teeth. In this work I investigate the relationship between a historical memento mori spoon engraved with the name of a deceased loved one and the lasting impression of one’s identity through dental records. This idea is considered in conjunction with the maker’s mark, or hallmark, that typically identifies a silversmiths work. How better to make my mark with my work than to incise my own teeth as proof of authorship. Working with wax and casting techniques I brought these pieces to life. 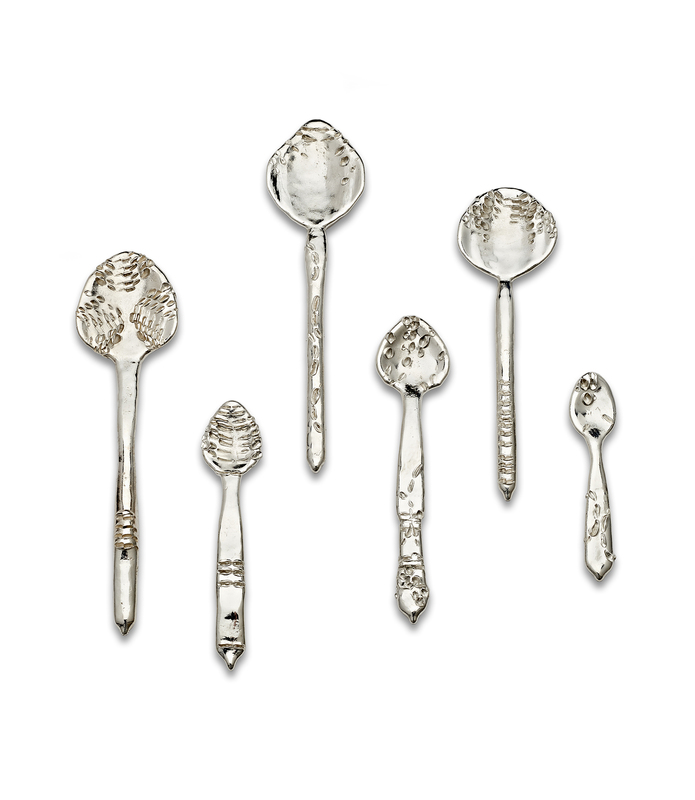 New York Silver, Then and Now will be on view at the Museum of the City of New York through May of 2018.